Clear silver color. Minerally, clean, citrusy aromas and flavors of lemon pith, underripe peach, mango candy and orange rose petals with a soft, shy, dry-yet-fruity light body and a smooth, brisk finish with notes of lemon zest, confected lemon candy, orange blossom water, and wilted flower petals with no oak flavor. A subtle Pinot Grigio that yearns for some flavorful food to complete the meal. 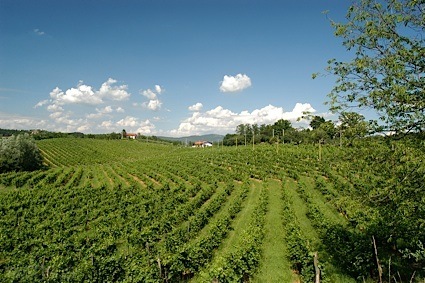 Bottom Line: A subtle Pinot Grigio that yearns for some flavorful food to complete the meal. 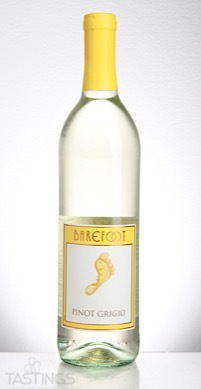 Barefoot NV Pinot Grigio, California rating was calculated by tastings.com to be 87 points out of 100 on 3/28/2018. Please note that MSRP may have changed since the date of our review.